Tim “Too Slim“ Langford is a monster guitarist and blues rocker and a prolific singer/songwriter with an impressive 13 studio albums, two solo albums and several live CDs to his credit. The most recent album, High Desert Heat, is the latest giant step in the evolution of their contemporary blues/rock sound that has been described as “Straight Whiskey Blues with a Southern Rock Beer Chaser,” and it garnered the band a coveted BMA nomination for Best Blues Rock Album. Too Slim and the Taildraggers’ high-voltage blues-rock has been thrilling audiences for years. The band’s ever evolving musical direction cannot easily be classified into any box or category. 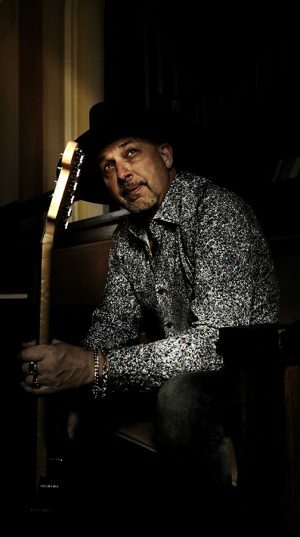 Tim “Too Slim” Langford has received Lifetime Achievement and Hall Of Fame awards by three Northwest blues societies, as well as more than 40 regional and national music awards. Too Slim and the Taildraggers’ music has also been featured on MTV’s series The Real World and Road Rules. After more than 30 years of knocking it out of the park on recordings and stages across the world, Too Slim and the Taildraggers shows no sign of slowing down.